All over India we celebrate Dussehra today. Effigies of Ravana will be burnt - signifying the victory of good over evil. The forces of good and evil are within us all. Each one of us has the power to be good or to give in to darkness. 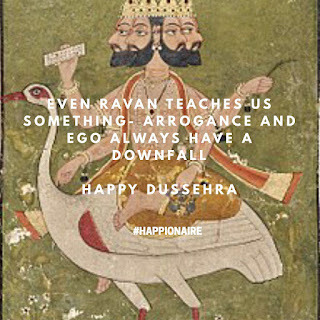 Let us learn from Ravana, a man blessed with all the knowledge in the world, and yet his arrogance and ego caused his downfall. No matter how rich, powerful or knowledgeable we are - we should ensure the evils of arrogance and ego never infect us. 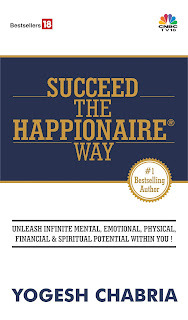 The greatest people, companies, movie stars, politicians, dictators, CEOs and billionaires have suffered once arrogance and ego took control of them. The power of humility is infinitely more powerful than arrogance and ego. Let's celebrate this force. Wishing you a Very Happy Dussehra! Beautiful thought....didn't know about this festival in India...arrogance always is the end of the person! Happy Dusshera to all fellow happionaires! May more people realize the power of being humble! 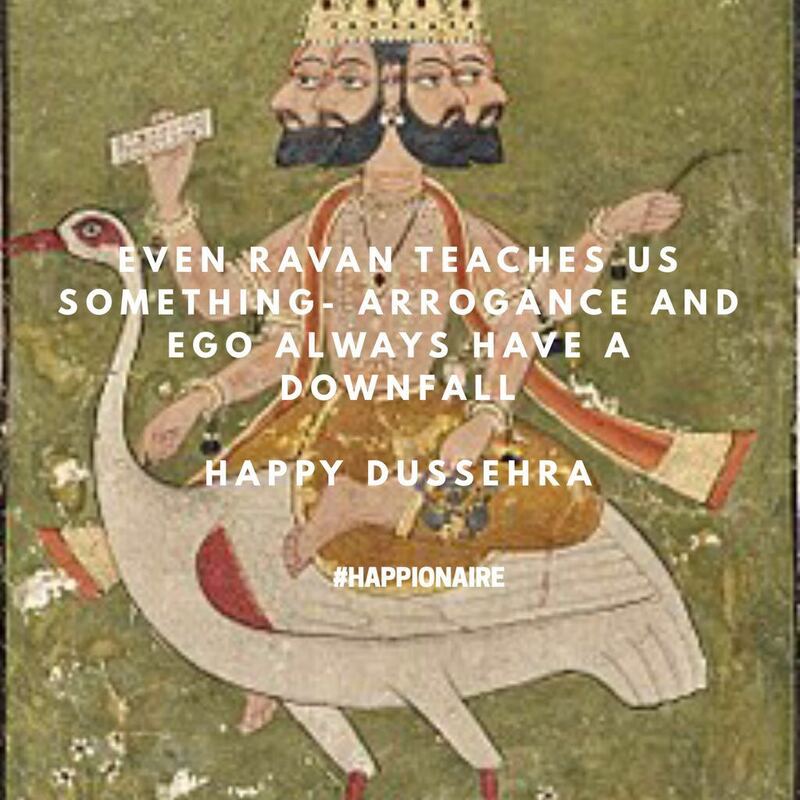 Nice way to explain the downfall of ravan!